Up for Auction is Martin Logan Motion 50XT Center Speaker. It’s in used but excellent condition. Some light scuffing pictured can only be seen up close and probably can be buffed out. One of the speakers has a small scuffing around the diagram ring but it doesn’t effect the performance. Please ask all the questions prior to bidding. Exact Specifications are available online on the Martin Logan Website. High Performance Compact Floor Standing Speakers with Folded Motion Tweeter. Luscious High Gloss Piano White Finish. Serial Numbers M20WXE0229 / M20WXE0235. Experience an enhanced output with the MartinLogan Motion 6 center channel speaker. This MartinLogan speaker, with a Folded Motion tweeter, gives you powerful, clear, and high-frequency sounds. With a frequency response ranging from 120 Hz to 25 kHz, this center channel speaker enables you to listen to a range of sounds. They are in like new condition. No grill or legs. Scratches on sides. Tweeter Type Folded Motion. Woofer Composition Paper. Woofer Surround Rubber. Video Shielded No. Power Range 20-140. Warranty Policy. Precision built advanced topology Vojtko crossover and high-performance aluminum cone woofer. Elegant yet understated styling with a flawless high-gloss finish and aesthetic certain to blend with any décor. MARTIN LOGAN MOTION 35XT (EACH) | CHERRY | REFURBISHED. Folded Motion XT tweeters and woofers are seamlessly blended with an advanced topology crossover network featuring polypropylene and low-DF electrolytic capacitors, custom wound inductors, and thermal and current protection. 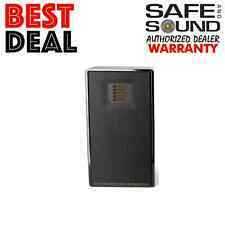 *REFURBISHED* Martin Logan Motion 20 Floor Standing Speaker GB MOTION20 EACH . MARTIN LOGAN MOTION 60 SPEAKER (EACH) | REFURBISHED. Dual 8” woofers and rear-firing bass ports create astonishing deep, precise bass, while a dedicated mid woofer promotes an open, revealing and authentic midrange. REFUBISHED (EACH) Martin Logan Motion 4i Bookshelf Speaker. Bookshelf Speakers. MARTIN LOGAN MOTION 4i BOOKSHELF SPEAKER (EACH) GLOSS BLACK | SOLD AS EACH. Flexible installation options allow table top or on-wall installation of all four speakers. MARTIN LOGAN MOTION VISIONX. MARTIN LOGAN MOTION VISIONX (EACH) |REFURBISHED. Introducing the Motion® Vision X with DTS Play-Fi® technology. Also, Play-Fi is an open platform, so you can mix and match any DTS Play-Fi enabled speaker. Tweeter Type Folded Motion XT. Mounting Bracket Included No. Power Range 20-250. Video Shielded No. Sensitivity 92 dB. Warranty Policy. MARTIN LOGAN SLM ULTRA SLIM SPEAKER (EACH) | REFURBISHED. ML Refurbished products are in GREAT CONDITION and COMPLETE. Save BIG and build your DREAM system for a fraction of the price. The logo on the grille is magnetic and can move and rotate to the proper atheistically pleasing location in any orientation. *OPEN BOX* Martin Logan Motion 50XT Center Channel Speaker MOTION50XT CHERRY . MARTIN LOGAN MOTION 50XT CHERRY (EACH) | OPEN BOX. Center Channel Speakers. Floor Standing Speakers. Two channel hifi. Trade in used products. Folded Motion XT Transducer with 4.5” x 2.75”. Car audio and video. 5 out of 5 stars - *OPEN BOX* Martin Logan Motion 50XT Center Channel Speaker MOTION50XT CHERRY . 1 product rating1 product ratings - *OPEN BOX* Martin Logan Motion 50XT Center Channel Speaker MOTION50XT CHERRY . Tweeter Folded Motion XT. Power Range 20-300. MARTIN LOGAN MOTION VISIONX. MARTIN LOGAN MOTION VISIONX (EACH) NEW. Introducing the Motion® Vision X with DTS Play-Fi® technology. Also, Play-Fi is an open platform, so you can mix and match any DTS Play-Fi enabled speaker. 1" x 1.4" Folded Motion tweeter. speaker can be mounted horizontally or vertically. elegantly curved cabinet with high-gloss piano black finish. includes two wall-mount brackets. acoustic suspension (sealed) enclosure. 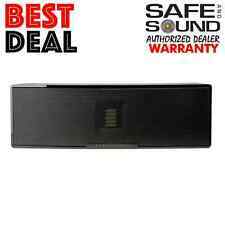 4.5 out of 5 stars - New Martin Logan Motion 8i Center Channel Speaker Black Single Free Shipping! 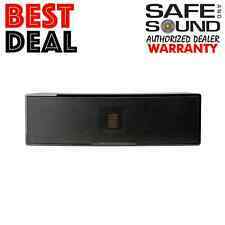 2 product ratings2 product ratings - New Martin Logan Motion 8i Center Channel Speaker Black Single Free Shipping! What is the history of the item?. We test them and picture their current condition. Unpaid cases will automatically be open. Previously owned and in excellent condition. Very little overall wear. The item has been tested and works well. High Frequency Transducer: 1" × 1.4" (2.6cm × 3.6cm) Folded Motion Transducer with 5.25" × 1.75" (13.3cm × 4.4cm) diaphragm. Polyester film capacitors in series and low DF electrolytic capacitors in parallel. MartinLogan Motion® 50XT owner's manual. Center-channel loudspeaker. 1.25" x 2.4" Folded Motion™ XT tweeter for high output levels with low distortion. MFR # Motion 50XT-GB. User's Manual (En/Fr). Perforated steel grille attaches magnetically to cabinet. WE ARE ANAUTHORIZED MARTINLOGAN DEALER! What makes the Motion Series sound so amazing?. PRICED PER INDIVIDUAL SPEAKER. Folded Motion. Motion 15 Specifications. 1" × 1.4" (2.6cm × 3.6cm) Folded Motion Transducer with 5.25" × 1.75" (13.3cm × 4.4cm) diaphragm. Dolby Atmos add-on speakers. connect to a Dolby Atmos compatible receiver's height channels. designed to sit on top of floor-standing or bookshelf speakers. high-performance crossover network. 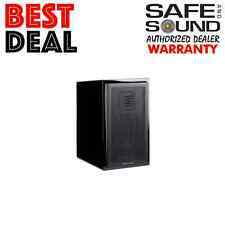 New ListingMartinLogan - Motion 40 6-1/2" Floor Speaker (Each) - Gloss Black MO40GBL READ! Tweeter Size. Woofer Size. Speaker Type. Tweeter Material. Woofer Material. Headphone Jack. Motion 40 6-1/2" Floor Speaker (Each). Speaker Wire Included. 5 out of 5 stars - MartinLogan - Motion 40 6-1/2" Floor Speaker (Each) - Gloss Black MO40GBL READ! 6 product ratings6 product ratings - MartinLogan - Motion 40 6-1/2" Floor Speaker (Each) - Gloss Black MO40GBL READ! Tweeter Folded Motion transducer. Power Range 20-140. Number of Speakers 1. What makes the Motion Series sound so amazing?. Although our engineers won`t reveal exactly how they make the sausage, here are a few technologies that help give MartinLogan Motion Series such a unique sound. MartinLogan's elegant Motion 6 may be just the ticket.". This item looks like new from just a few feet away. You'll have to examine very closely to find any signs of wear. Functional Notes: Operational condition of this item is excellent, fully tested and no issues found. Up for sale is one Martin Logan Motion 6 Center Speaker Black. Item is brand new in the box never been opened. Motion 35XT speaker combine high-excursion, black aluminum cone woofers and low-turbulence, rear-firing, bass ports. Each model creates clear, highly dynamic, and precise sound. Martin Logan Motion 35XT Bookshelf Speaker. Compatible with 4, 6, or 8 Ohm rated amplifiers. Crossover Frequency 3,000 Hz High Frequency Driver Three 1” x 1.4” (2.6cm x 3.6cm) Folded Motion Transducer with 5.25” x 1.75” (13.3cm x 4.4cm) diaphragm. 1" × 1.4" (2.6cm × 3.6cm) Folded Motion Transducer with 5.25" × 1.75" (13.3cm × 4.4cm) diaphragm. High Frequency Transducer. Low Frequency Transducer. Horizontal Dispersion. Ultra-Slim Folded Motion Speakers. Tweeter Type Folding Motion. Mounting Bracket Included No. Power Range 20-200. Video Shielded No. Tweeter Folded Motion Transducer. Power Range 20-250. Weight 18 lbs.